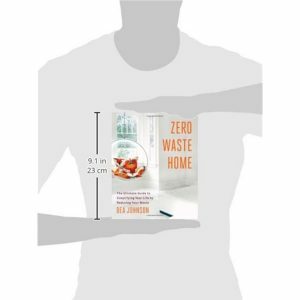 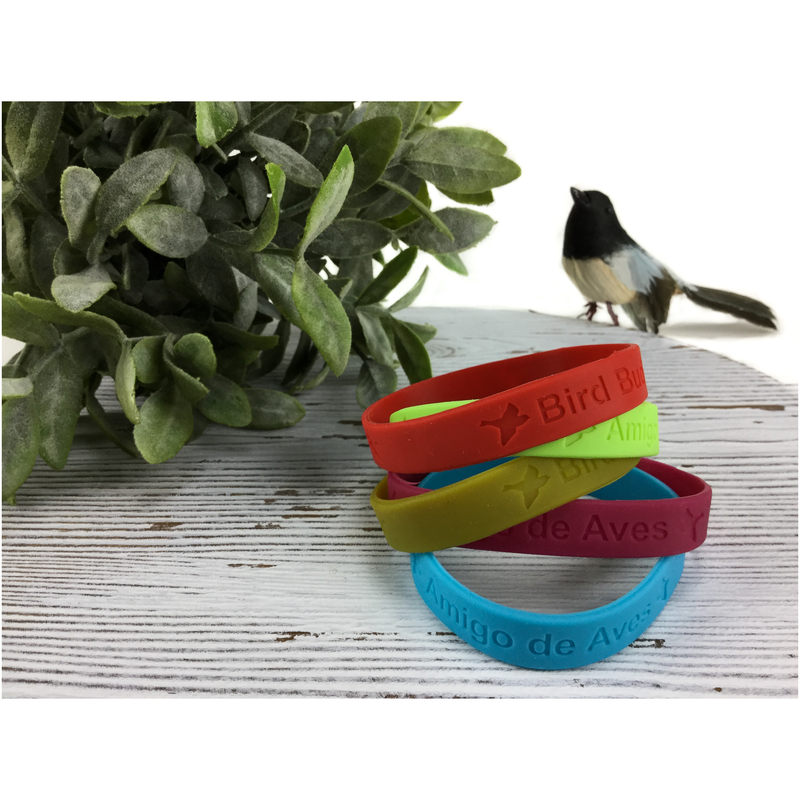 In addition to being a versatile fashion accessory, our high quality silicone wristbands are a great prize or giveaway for program participants and fundraisers. 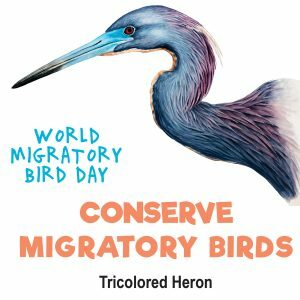 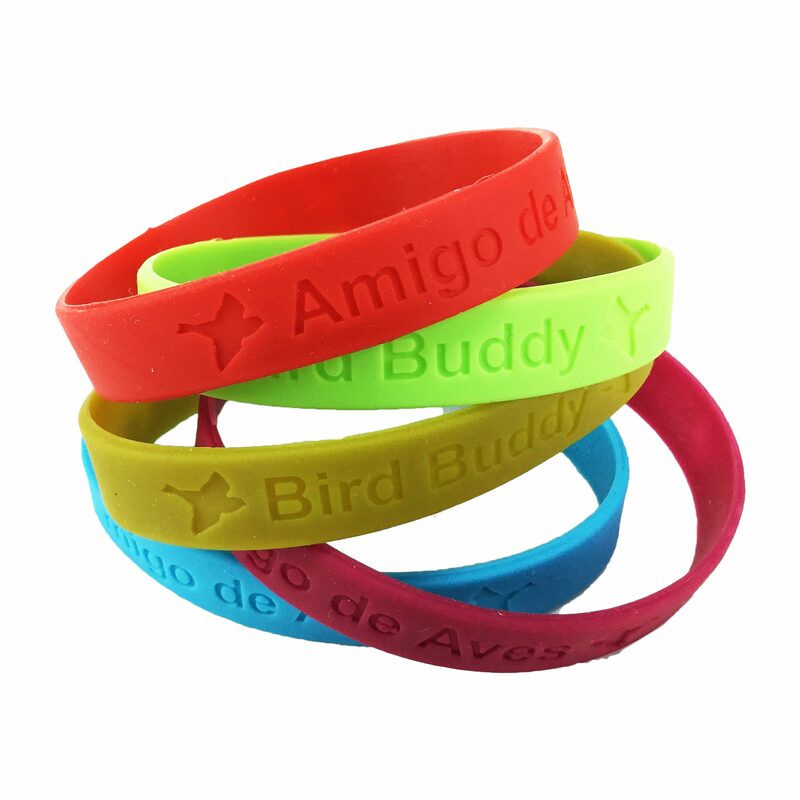 Created and selected by students, the slogan “Bird Buddy” is debossed on one side of each band and “Amigo de Aves” is on the other. Bulk orders of 50 and 100 bands are available in packs of assorted colors.